Draft: 2008, Toronto Blue Jays, 7th rd. Name pronounced as it is spelled.....no relation to former big leaguer Marcus Thames (TIMZ) ... Graduated from Bellarmine (CA) College Preparatory ... Attended Cabrillo (CA) College and West Valley (CA) College before spending his junior and senior seasons (2007-08) at Pepperdine University ... Was team MVP with the LaCrosse Loggers in 2007 while playing in the Northwoods League ... Enjoys video games, Star Wars, professional wrestling, reading and ancient war history. Batted .219 with 16 HR and 37 RBI in 96 games with Milwaukee ... Made 58 starts (27g at 1B, 24g in RF, 7g in LF) ... Was on the 10-day disabled list from 4/25-6/10 with a torn UCL in his left thumb and missed 41 games.....suffered the injury on 4/24 at Kansas City while diving for a ground ball ... Led the team in HR (7) at the time of his placement on the disabled list ... Underwent thumb surgery on 4/27 in Arizona, performed by Dr. Donald Sheridan ... Was also on the 10-day disabled list from 7/14-7/23 with right hamstring tightness ... Belted his first career leadoff homer on 6/17 vs. Philadelphia off Aaron Nola.....added another home run later in the contest for his fourth career 2-homer game.....had a career-high 4 RBI ... Smacked his first career pinch-hit homer on 7/8 vs. Atlanta with a solo shot off Evan Phillips ... Notched his second career walk-off homer on 8/3 vs. Colorado with a 2-out, 3-run shot in the ninth inning off Wade Davis to give the team a 5-3 victory ... Batted .127 (8-for-63) with 2 HR and 5 RBI over his last 39 games ... Was not on the NLDS or NLCS rosters. Batted .247 with 31 HR and 63 RBI in 138 games with Milwaukee as he made his return to the Major Leagues for the first time since 2012...Made 123 starts (103g at 1B, 15g in LF, 3g in RF, 2g at DH)...His 31 HR tied Travis Shaw for the team lead and tied for 10th in the National League...Led the team in slugging percentage (.518), OPS (.877) and walks (75)...Was named Brewers Player of the Month for April (24g, .345, 11hr, 19rbi).....set franchise records for April with 11 HR and 28 runs...Hit safely in his first 12 starts to begin the season, setting a new franchise record.....the previous mark was held by Dickie Thon (11 starts, 4/6-4/27, 1993)...From 4/5-4/18 had a career-high 11-game hitting streak, batting .452 (19-for-42, 7hr, 10rbi)• Homered in 5 consecutive games from 4/13-4/17 (6hr), tying the franchise record held by Jeromy Burnitz (8/1-8/5, 1997)...Belted a 2-run homer in the ninth inning on 6/15 at St. Louis, giving the team a 6-4 win...Hit his first career walk-off homer on 6/16 vs. San Diego with a solo shot in the 10th inning, giving the team a 6-5 win...Smacked 10 HR against the Reds to become the first player in franchise history to produce double-digit homers in a season against a single opponent...Batted .346 (18-for-52, 3hr, 9rbi) over his last 17 games of the season. Played the last three seasons with the NC Dinos of the Korean Baseball Organization, where he batted .348 with 124 HR, 379 RBI and 64 stolen bases in 388 games...Batted .317 with 40 HR (led league) and 118 RBI in 121 games last season ...Was named KBO Most Valuable Player in 2015 as he produced the first 40/40 season in league history and won the batting title, hitting .381 with 47 HR, 140 RBI and 40 stolen bases in 142 games.....led the league in runs (130) and doubles (42)...Batted .343 with 37 HR and 121 RBI in 125 games during his first season in the KBO (2014)...Signed as a free agent with Milwaukee on 11/29/16. Appeared in 86 games, making70 starts (LF-39, RF-31) betweenSeattle and Toronto ... 6 of 9 homers tied the game orgave team the lead (4 of 6 w/SEA) ... Hit .310 (18x58) with 3 doubles, 2triples, 5 home runs, 12 RBI and a1.044 OPS in 21 games at SafecoField (with Seattle) ... Hit solo home run in the 8th inningAug. 27 at Minnesota to provideonly run in 1-0 victory ... Hit walk-off two-run single Aug. 14 vs. Tampa Bay to give Seattle 3-2 win ... Hit game-tying two-run home run in Mariners debut Aug. 1 vs. Toronto ... With AAA Las Vegas hit .330 (65x197) with 31 runs, 15 doubles, 3 triples, 6 home runs, 32RBI, .407 OBP, .528 SLG in 54 games. Appeared in 95 games in his rookie season... Appeared in left field in 52 games and in right field in 27 contests... ROOKIE RANK: Posted a .769 OPS which ranked 2nd in the AL among rookies (min 350 AB)... His 24 doubles, 12 home runs ranked 4th... Was T-2nd with five triples... Did so ranking only 7th in games played... Is the first Toronto rookie to record at least five triples and 10 home runs and first AL player since Tadahito Iguchi in 2005 with CWS... DEBUT: Had his contract purchased on May 17 from Las Vegas (AAA) and made his Blue Jays debut vs. TB on the 18th, starting at designated hitter... Went 1-3, collecting his first Major League hit in the 6th inning off Jeremy Hellickson... FIRST GO AROUND: Appeared in 13 games in his first stint with the Blue Jays, batting .286 with two doubles and a triple and a .743 OPS... BACK IN THE NEST: Was recalled for the balance of the season on June 24... In his second stint with the club, appeared in 82 games, batting .259 with 22 doubles, four triples and 12 home runs... June 29 vs. PIT, hit his first home run, a solo shot off Pat Maholm... Had a 10 game hit streak from June 1-July 4, marking the longest streak by a Blue Jays rookie since Adam Lind in 2007... YOUR UP AGAIN: July 14 vs. NYY, recorded two doubles in the first inning becoming the 1st Blue Jays player to record to two hits in an inning for Toronto since Travis Snider in 2010... Also is the 1st player to have two hits in the 1st inning of a game, since Matt Kemp in 2008... BOOM BOOM: Homered in back-to-back games for the first time on Aug. 14-15... Did it again on Sept. 21-22... Posted 30 multi-hit games, including a career high four-hit contest Aug. 31 at BAL... Recorded two doubles in a game on five occasions... VEGAS: Appeared in 53 games at the AAA level, posting a .352 average with 25 doubles, four triples, seven home runs and 45 RBI... Batted .389 vs. right-handed pitching and .483 in day games. Spent all of 2010 with New Hampshire of the Eastern League (AA)... WEBSTER WINNER: Earned the prestigious R. Howard Webster award as the Fisher Cats MVP, leading the club with 27 home runs and 104 RBI... The RBI also led all Blue Jays minor leaguers... ALL-STAR: was named to both the Eastern League Mid-Season and Post-Season All-Star squads... Led the Eastern League RBI, 2nd in total bases (261), home runs, 3rd in OPS (.896), 5th in SLG (.526),7th in triples (6), 9th in hits (143) and 10th in OBP (.370)... WHAT A MONTH:Finished the month of July, batting .327, while slamming 19 extra base hits (8-2B, 23B, 9HR) in only 28 games... Overall batted .303 vs. right-handed pitching and .252vs. left-handed pitching... Defensively appeared only in left field. Made his professional debut with Dunedin of the Florida State League (A), appearing in 52 games... Was batting .340 through May, earning him a selection to the Florida State Mid-Season All-Star Game... Started his career with a 10-game hitting streak, batting .385 over the stretch... Was disabled in July, returning to Gulf Coast (R) for a seven game rehab assignment... Was back in Dunedin on Aug. 27 for the balance of the season. July 24, 2018 Milwaukee Brewers activated 1B Eric Thames from the 10-day disabled list. June 11, 2018 Milwaukee Brewers activated 1B Eric Thames from the 10-day disabled list. June 6, 2018 Milwaukee Brewers sent LF Eric Thames on a rehab assignment to Colorado Springs Sky Sox. April 25, 2018 Milwaukee Brewers placed 1B Eric Thames on the 10-day disabled list. Torn UCL in left thumb. November 29, 2016 Milwaukee Brewers signed free agent 1B Eric Thames. December 9, 2013 Houston Astros released RF Eric Thames. November 2, 2013 RF Eric Thames assigned to Leones del Caracas. October 1, 2013 Houston Astros activated RF Eric Thames. September 6, 2013 Houston Astros optioned RF Eric Thames to Oklahoma City RedHawks. September 5, 2013 Houston Astros claimed RF Eric Thames off waivers from Baltimore Orioles. September 1, 2013 Baltimore Orioles designated Eric Thames for assignment. July 20, 2013 Norfolk Tides activated OF Eric Thames from the 7-day disabled list. July 13, 2013 Norfolk Tides sent RF Eric Thames on a rehab assignment to GCL Orioles. June 30, 2013 Seattle Mariners traded RF Eric Thames to Baltimore Orioles for 3B Ty Kelly. June 30, 2013 Baltimore Orioles optioned Eric Thames to Norfolk Tides. June 22, 2013 Seattle Mariners designated Eric Thames for assignment. June 18, 2013 Tacoma Rainiers placed RF Eric Thames on the 7-day disabled list. March 19, 2013 Seattle Mariners optioned RF Eric Thames to Tacoma Rainiers. May 29, 2012 Toronto Blue Jays optioned LF Eric Thames to Las Vegas 51s. June 23, 2011 Toronto Blue Jays recalled Eric Thames from Las Vegas 51s. June 4, 2011 Toronto Blue Jays optioned Eric Thames to Las Vegas 51s. May 17, 2011 Toronto Blue Jays selected the contract of Eric Thames from Las Vegas 51s. April 4, 2011 Eric Thames assigned to Las Vegas 51s from New Hampshire Fisher Cats. January 7, 2011 Toronto Blue Jays invited non-roster LF Eric Thames to spring training. 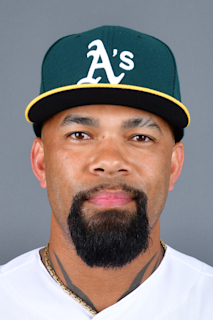 August 31, 2010 Eric Thames assigned to Peoria Javelinas. April 3, 2010 Eric Thames assigned to New Hampshire Fisher Cats from Dunedin Blue Jays. March 11, 2010 OF Eric Thames assigned to Toronto Blue Jays. August 27, 2009 Eric Thames roster status changed by Dunedin Blue Jays. August 17, 2009 sent LF Eric Thames on a rehab assignment to GCL Blue Jays. July 2, 2009 Dunedin Blue Jays placed LF Eric Thames on the 7-day disabled list. June 10, 2009 Dunedin Blue Jays activated LF Eric Thames from the 7-day disabled list. May 13, 2009 Dunedin Blue Jays placed LF Eric Thames on the 7-day disabled list retroactive to May 11, 2009. April 9, 2009 OF Eric Thames assigned to Dunedin Blue Jays from GCL Blue Jays.